Nonprofits can use crowdsourcing for a number of purposes, including cultivating new volunteers and donors and spreading the word about your organization’s work to a larger audience. At its simplest, crowdsourcing is community engagement. Engaging a community — whether it’s your local community, your group of volunteers, donors and clients, or a community of like-minded people who share an interest in your cause — can provide you with ideas, feedback and contributions you might not otherwise get. It can also demonstrate transparency and openness in decision-making. Whoever is in charge of your nonprofit’s Facebook and Twitter activities should keep an eye out for questions to regularly ask followers about activities and events to help keep them engaged. But there are some cautions to keep in mind, the most important of which is to keep crowdsourcing simple and meaningful. For example, if your organization is drafting a social media policy, your volunteer manager might share a draft with an online community of volunteers and ask for their feedback. If your organization wanted to come up with new plans for an annual fundraising event, your fundraising manager might email all your organization’s supporters to ask for ideas. We’ve identified five categories of crowdsourcing, and found some real-world examples of nonprofits that have used them successfully. 1This category follows the idea that two heads—or more—are better than one. This type of crowdsourcing can be used to share and aggregate information to help solve problems. For example, Ushahidi is an open-source software platform that plots a set of particular incidents, submitted by people via cell phone text messages, onto an online map. Ushahidi, which means “testimony” in Swahili, was initially developed to map reports of violence in Kenya after the post-election fallout at the beginning of 2008. It has also been used in disaster relief in Pakistan and to map crime incidents in Atlanta. In an older example, a public radio station in New York City asked listeners to check the price of milk at their neighborhood store and enter it online. Several hundred submissions later, the station had created a detailed map of food prices showing inequities across the city. 2By breaking large tasks into tiny ones, it’s possible to outsource repetitive jobs to the crowd. For instance, The Seed Company enlisted more than 1,000 residents of a remote village in Asia for help translating the Bible into their native language, with each participant translating a small piece of text. The project was made possible using the crowdsource translation platform Lingotek. Through sites like Sparked or Amazon’s Mechanical Turk, organizations can ask people to perform a small task, such as tagging a picture, finding a phone number or typing a particular piece of text in a specific format. After Hurricane Katrina, for example, thousands of volunteers manually entered 15,200 records to consolidate all the dozens of sources of information about lost or missing people. 3Tasks of this nature use crowds to help create original works of art. For example, The Royal Opera used Twitter to crowdsource a new “people’s opera” that drew more than 900 contributions, resulting in a 20-minute production in London performed by professional composers. Similarly, the San Francisco Symphony crowdsourced musician auditions for a mash-up performance over YouTube. The end result was a symphony orchestra of more than 90 players representing over 30 countries. 4Everyone has an opinion, and most people like to express them by voting on or rating something or giving feedback. By tapping into that desire, you can increase awareness for your cause and draw in new audiences for your message. A great example of this is the Brooklyn Community Foundation, which launched a campaign encouraging locals to submit and vote on projects to make the borough a better place. More than 356 projects were nominated, and the number of votes totaled well over 300,000. Art museums have also used crowdsourcing to let crowds curate and plan exhibitions. A good example is the Brooklyn Museum’s “Click! A Crowd-Curated Exhibition,” which involved an open call for people to submit photographs. Nearly 3,500 people participated, evaluating more than 350 images and selecting a number for a final exhibition of the photographs in 2008. 5This category opens the collective pocketbook, encouraging crowds to fund projects that benefit others. Perhaps the most widely known is Kiva, a micro-lending website that uses crowdsourcing for its work. By allowing people to make micro-loans as small as $25 to entrepreneurs in developing countries, the site taps into the generosity of donors to change the lives of thousands in the developing world. Across the United States, communities are harnessing crowds to provide funds for nonprofits on special “giving days.” In Minnesota, Give to the Max Day raised more than $13.4 million in November 2011, and GiveMN, an affiliated website, raised $46 million since its launch in 2009. Any of these categories can be used on its own or combined with other approaches to achieve your goals. Crowdsourcing and crowd funding projects are within reach of any organization, but there are a few things to keep in mind that will help ensure your success. Plan ahead. Start by choosing the right model for your goals. Figure out what you’re trying to achieve and find the best way to do it. Make sure you choose the right crowd, too — setting up a crowdsourcing campaign is the easy part, but getting the word out to the right people is not. Create a fully developed outreach plan, and use a combination of social media and emails to current supporters. These people, in turn, will have access to networks of people with similar interests, and help you pass your project along. If you’re using a crowd-funding site, like Kickstarter or Indiegogo, make sure you choose the one that most closely matches your goal — each has a different approach. Keep it simple. Make it very clear what you want the crowd to do, and break down your strategic goals into smaller tasks people can help with. Keep your message as easy as possible to communicate to help it get passed along. In order to help you meet your goal, set reasonable expectations. Crowd-funding is an easy way to ask for donations, but it creates the illusion that hordes of people with large amounts of money are sitting at their computers looking for some place to give it away. Most successful crowd-funding initiatives rely on friends, family and colleagues rather than total strangers. All the same traditional fundraising rules apply: You have to have credibility, you have to have a strong network, you have to have a track record of success, and you have to be transparent on how the money will be used. Engage the crowd and reward participation. Approach crowdsourcing as an opportunity to engage a new group of potential supporters. Be as creative as possible in your outreach and plant your campaign in places that you hope will reach new audiences. Think about how to regularly engage with your current supporters and start doing it. Consider giving incentives to reward participation — what do people want in exchange for their help? Try to really understand their motivation. Do they just want to be heard, have fun or learn something new? In this case, a simple acknowledgment might work, but other times, cash incentives might be used. Stay positive — both publicly and privately. Throughout the campaign, it’s important to remain personable with the people who might contribute, and a little personal interaction can increase the likelihood of a donation or action. Have faith in the process and stay focused on your mission — if an activity doesn’t obviously support your mission, forget it. 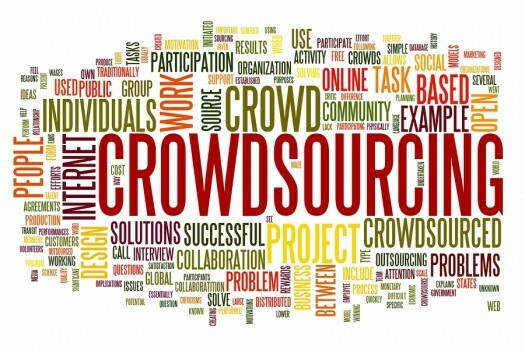 Crowdsourcing provides many opportunities for nonprofits to tap the power of crowds. If you have a task, question or idea you want to explore, there are many ways to reach and involve people. Always look for opportunities to ask questions or seek feedback from your volunteers, donors, newsletter subscribers, clients, the local community or any community. Crowdsourcing is a mindset. Want your community to be a part of your decision-making process? Don’t get mired in top-down thinking, and don’t be afraid to take risks or listen to criticism from your constituents or the public. Running a crowdsourcing project is a lot of work. The best approach to accomplishing it is to take your time and just chip away at it. Read through all the necessary steps and complete one task at a time. Unless you are in a rush, there is no rush to complete this. In the end, the tools don’t matter. What’s important is coming up with meaningful ways to engage, learning from other organizations that have successfully used crowdsourcing and have faith in the process. Soha El Borno is a freelance write who works with Idealware. Follow her on Twitter at @soha. Originally published on Idealware under a Creative Commons NonCommercial ShareAlike license. Good points, all. I think a lot of nonprofits are reluctant to use crowdsourcing because they think they don’t know how to handle a crowd from an IT systems kind of view, meaning they don’t know how to expose their data to the crowd so that they can edit it. Some case studies and best practice on that, complete with costs and staff-hours spent on the project would be very interesting. Agree! If anyone knows of specifics or examples, please do share. I love your quote about #crowdsourcing being a mindset. It is so true! Excellent examples and ideas behind the theory. Thank you! In my opinion one of the best ways in which to gift to charity as you book your forthcoming vacation is to book the complete trip through an organization like Charity Australia.